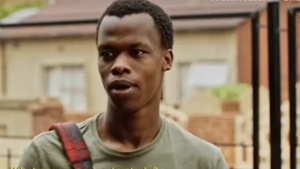 Tributes are pouring in for the lead actor of the movie Matwetwe, Sibusiso Khwinana, who was fatally wounded in Arcadia, Pretoria on Friday night. Khwinana, who plays the role of shy Lefa was believed to have been attending a screening of the movie at a cinema in Sterland Mall when he was attacked by a suspect who demanded his cellphone. He was allegedly stabbed with a sharp object on the upper body and died on the scene. Police spokesperson Captain Mavela Masondo says no arrests have been made and cases of robbery and murder are being investigated. The post Tributes pour in for murdered Matwetwe actor appeared first on SABC News – Breaking news, special reports, world, business, sport coverage of all South African current events. Africa's news leader..